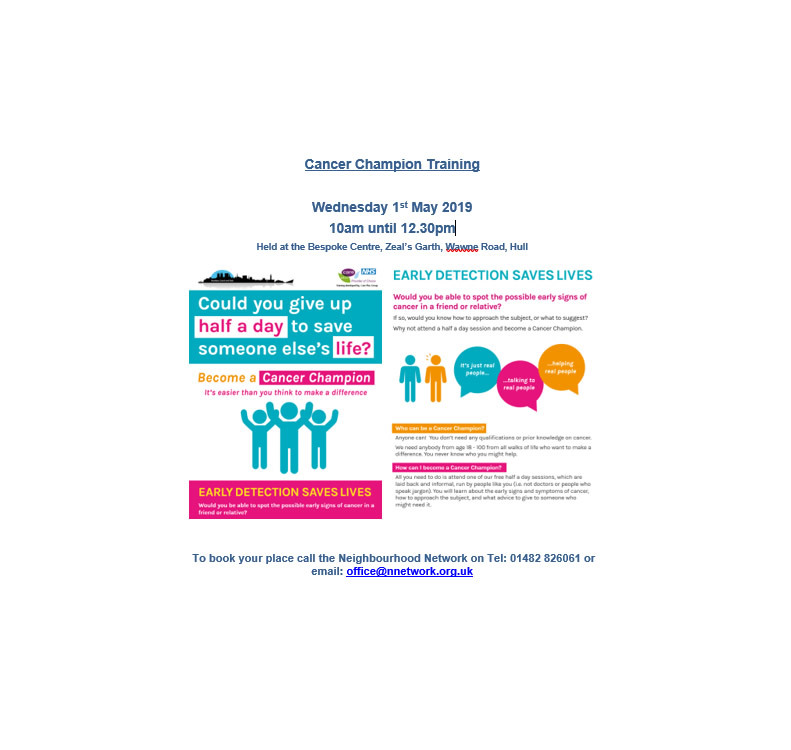 Neighbourhood Network are proud to be a Cancer Champion and would love to share this knowledge with our members. We will be hosting an awareness session on Wednesday 1st May at 10.00am at the Bespoke Centre, Wawne Road, Hull. This will be delivered by Emma Lewin of Humber Coast and Vale Cancer Alliance. The cancer champion programme has been established by the Humber, Coast and Vale Cancer Alliance. It has been developed in partnership with the Care Trust Plus Group in Grimsby from their award winning programme. 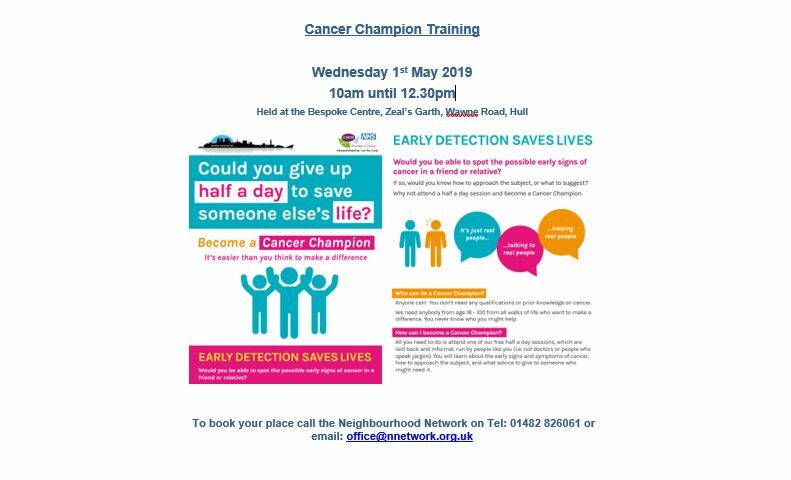 The aim of the programme is to ensure that more people who have cancer in Humber region are diagnosed at an earlier stage by improving general awareness and uptake of screening. A cancer champion raises people’s awareness about cancer, by engaging people in conversation. No skills, qualifications or any special knowledge of cancer is required to be a cancer champion. It’s about real people talking to real people, and it does make a difference. Cancer champions will receive a training session, supportive handbook and leaflets. They will share their knowledge to reduce the risk of a person getting cancer and help prevent avoidable cancer deaths by encouraging people to take up cancer screening invitations or go to their GP if they have symptoms that they are worried about.